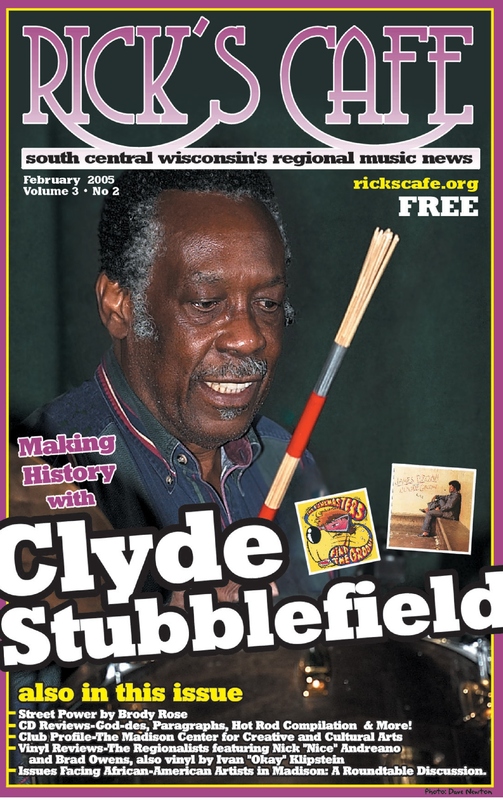 Today is a sad day for Madison music but also in the music world at large. 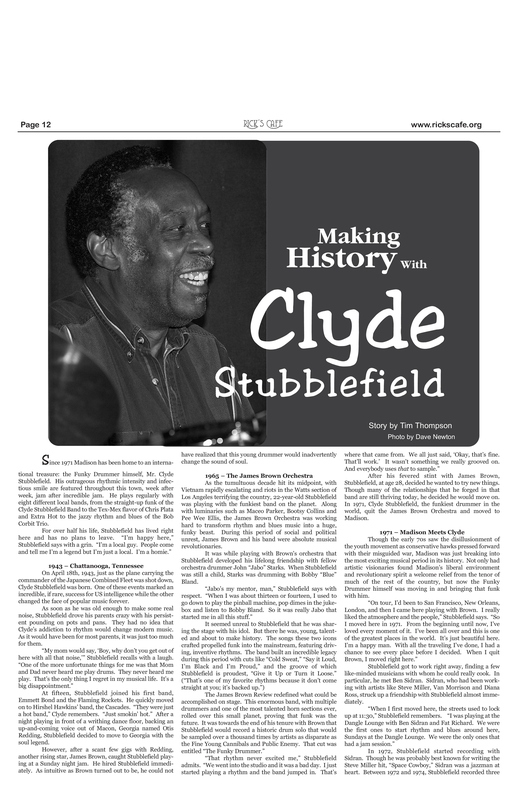 The passing of Clyde Stubblefield will be mourned around the globe but nowhere more than here. 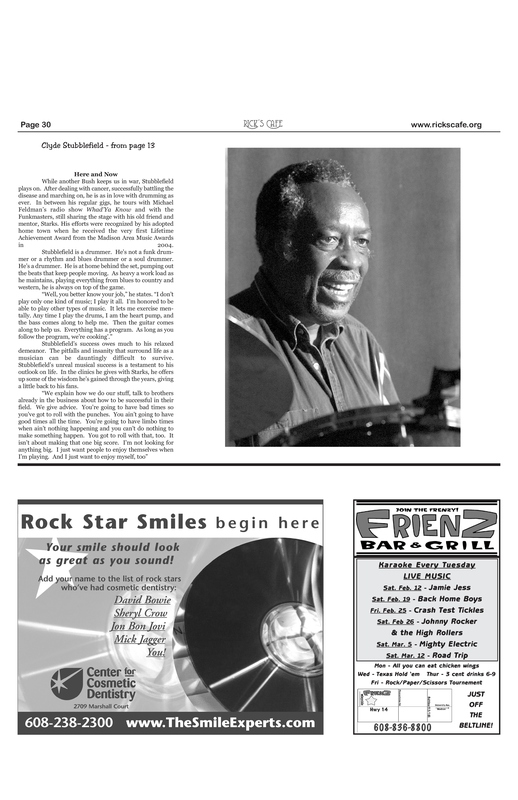 In honor of this sad day, we re-up our cover story from Rick’s Cafe from february 2005. 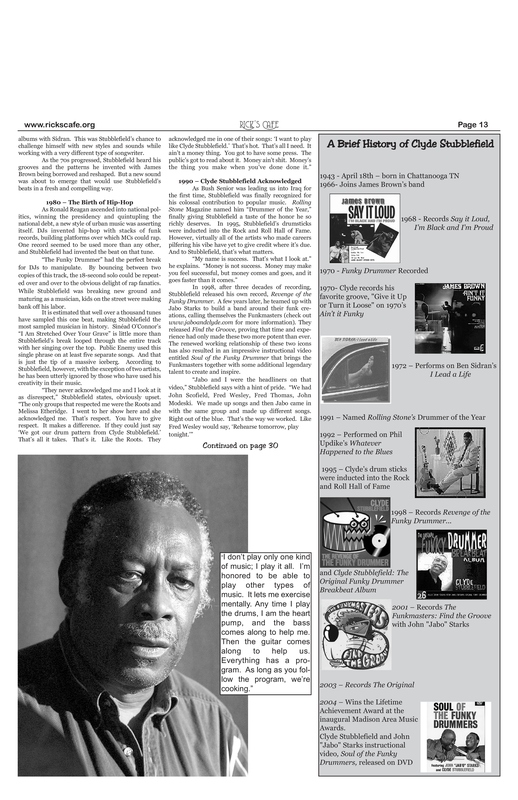 Story by Tim Thompson. Photos by Dave Newton.